Solidsetup Pty Ltd was established in 2009 by Aaron Crees and Raymond Johns. Our goal was to provide a one stop shop so Cabinet Vision users could outsource development. This business model enables users of the software many time and cost saving benefits whilst allowing them to get on with production. We have been responsible for helping hundreds of Cabinet Vision users with their software development requirements. We bring a new level of never before seen functionality and productivity with our Solid Setup packages. We pride ourselves on detail and only complement Cabinet Vision Solid and our immediate success is due to our customers satisfaction in our product knowledge and attention to detail. Installation of our Packages can solve many of your development requirements within minutes. We have learned correct program writing is essential for guaranteed results from Cabinet Vision and although not impossible to write complex formulas in Intelli Joints and UCS's to get correct results and reports, the hiring of a full time inhouse programmer or the knowledge required to write this code is out of reach for most Cabinet Makers due to time, cost and knowledge constraints. 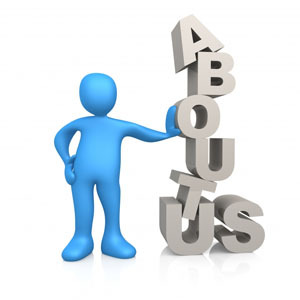 Solid Setup is a customer service based organisation and our service is our strength. We aim to please and strive to succeed. Setting up Cabinet Vision to your exact requirements can be an extensive process consuming countless hours and costing a lot of money. We realise most Cabinet Makers are not programmers and we believe they should not have to be. Our mission is to supply, install and support our database packages that enable the customer to do more effortlessly and we look forward to your business. Improve your drafting team’s performance with visual and accurate hardware graphical representation. The WOW factor for the customer to see the 3D hardware graphics has a proven track record of increased sales of not only the kitchen but the power to up sell the hardware itself. Reduce guess work associated with hardware not fitting with visual confirmation. Cut down on your libraries’ and do more with yours or ours regardless of how you put the cabinets together. Our UCS’s and Intelli joints etc are custom written from scratch using many years experience our tried and tested intelligent logic. Build complex and intelligent cabinets with greater ease. Have complete control over your joints from the cabinet and part page via attributes. Our working relationships with hardware suppliers give us the cutting edge in product development and solutions to your requirements. Getting professionals to do the job. Allow for user definable variables to remedy required outcomes. Be easy for beginner and intermediate users to understand what they do.